Hutchinson & Co., 1953, Hardback in Dust Wrapper. Condition: Good — in Poor Dust Wrapper. Dust wrapper edgeworn, creased, nicked with some loss and distinctly loose. Spotting to endpapers and foredges although otherwise bright. A better copy than it sounds. Maps to the endpapers. Illustrated frontispiece with other illustrations within the text. 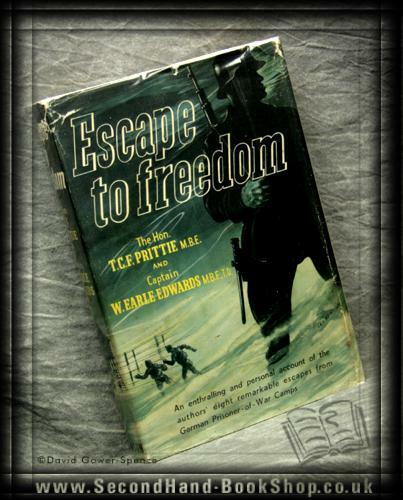 The authors of this book made no less than eight remarkable attempts at escape from german prisoner-of-war camps. In addition to the stories of the escapes this is the most human account of life in a prisoner camp. Illustrated by Major W. Clough-Taylor. Foreword or introduction by Major-General Sir Victor Fortune. 400 pages.